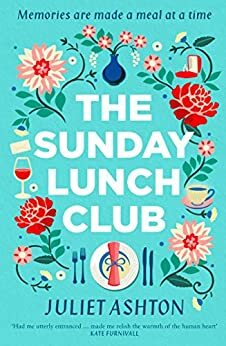 The Sunday Lunch Club is a lovely read following the varied immediate and extended members of Anna’s family. Every so often, they take turns to meet at each others houses for lunch on, yes you’ve guessed it, a Sunday. The focus is mostly on Anna who is coming to terms with an unexpected and unplanned pregnancy at the age of 40. 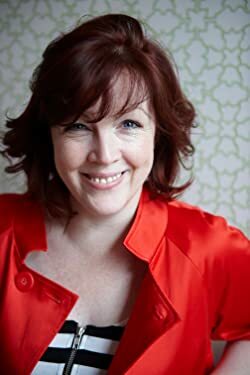 Also part of the Sunday Lunch Club is her sister Maeve who lurches from one unsuitable relationship to another, her brother Neil, his husband Santi and their adopted daughter Paloma and their younger brother Josh, always rather quiet and enigmatic. Somewhat strangely, Anna’s ex-husband is also part of the club. Their split was amicable and they still work together as business partners. And from time to time, the family’s beloved and wise Irish grandmother Dinkie joins in whether by the lunch club meeting in her nursing home room or via Skype. The family welcomes new friends and new lovers as the lunch club grows and reading the book is like pulling up a chair at the table yourself, joining in with the gossip, drama and laughter of these chaotic lunches. “You’d better get used to it. All the lunches are like this. It’s better than telly.” It put me in mind of our own weekly Sunday gatherings where my parents, my mother-in-law and my daughters all enjoy spending time together. It can get noisy at times though, just like in the Piper household. Each member of the Piper family has some secret or crisis to deal with at some point during the book. What gets them through is the love, support and understanding they offer to each other. As the members of The Sunday Lunch Club discover, life is all about taking second chances and being true to yourself. The strong bonds between family and friends are evident throughout in this uplifting and charming book.